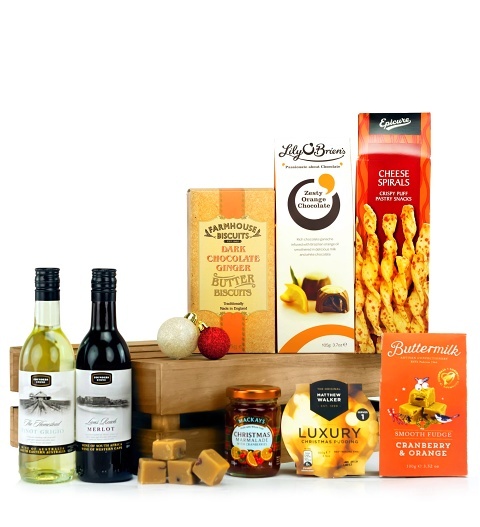 A delicious collection of wines, savoury treats, and sweets perfect for the holidays. Both the South African Merlot and the Australian Pinot Grigio are perfect for warming up during these colder months. The great variety of luxury items all packaged in a lovely wooden crate makes this a superb Christmas gift for friends and family alike.